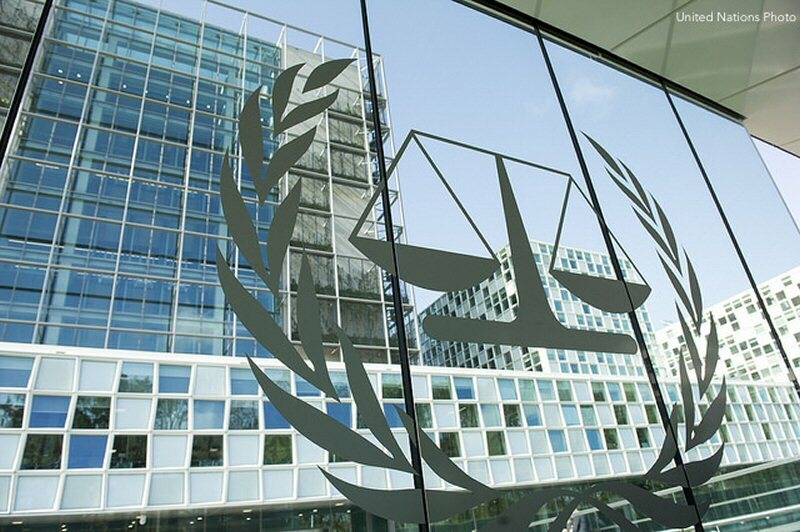 Attention has been focused on the state of Palestine’s recent submission of a “referral” to the International Criminal Court (ICC), alleging that Israeli officials committed war crimes and crimes against humanity against the Palestinian people. However, another complaint recently submitted by the state of Palestine has received much less attention, although its findings will be important in building the factual and legal basis for prosecutions against Israeli officials who may face charges before the ICC and other fora – as well as against the state of Israel itself should an advisory opinion be sought at the International Court of Justice. In April, Palestine submitted a legal complaint with the UN Committee on the Elimination of Racial Discrimination (CERD) involving serious violations of the rights of the Palestinian people. Like the ICC referral, it specifically alleges war crimes and crimes against humanity. Yet the CERD filing is noteworthy for three additional reasons: The “state of Palestine” is the complainant; the case is being brought against the state of Israel, not an individual; and the process allows for international legal experts entrusted with eradicating racism, racial segregation, and apartheid to make a determination about Israeli practices in the Occupied Palestinian Territory (OPT) that will be deemed authoritative by international bodies such as the ICC and the ICJ. The filing is also groundbreaking because the complaint is the first of its kind. Never before has one state utilized the mechanism to complain about the human rights violations of another state. If the complaint process moves forward and an ad hoc panel of CERD experts is called on to issue findings, this will reaffirm Palestinian statehood and that the OPT is the territorial unit of Palestinian sovereignty. With the Israeli Knesset considering the annexation of some or all of the West Bank and the US State Department removing references to the West Bank and Gaza as occupied territory from its country reports, having an international legal body reaffirm that Palestine has legal character as a state underscores the Palestinian position and the illegality of Israel’s conduct in the OPT. Further, there has never been a legal case brought before an international forum adjudicating human rights matters or international criminal responsibility that involves the states of Palestine and Israel as opposing parties. Existing international judicial mechanisms are not available to Palestine for complaints against Israel for such rights violations. The ICJ is not empowered to hear contested cases unless both states consent to its jurisdiction. As for the ICC, it only hears cases brought against individuals. Finally, unlike the UN General Assembly or the UN Security Council, which are political bodies made up of states, CERD is a “treaty-body” created under the International Convention on the Elimination of All Forms of Racial Discrimination and is made up of international legal experts on racism and discrimination. The anti-racism convention that CERD is mandated to uphold is considered one of the core human rights instruments. Both Palestine (in 2014) and Israel (in 1979) have ratified the convention, requiring them both to respect the principle of equality before the law and to eradicate distinctions based on race, color, or national or ethnic origin and all practices of racial segregation and apartheid, including those occurring in any territories under their jurisdiction. Palestine’s recent referral to the ICC is significant and has raised expectations for possible criminal accountability against Israeli civilian and military officials for human rights violations committed in the OPT. This is the first time Palestine has requested that the ICC open an investigation, although it had previously provided documentation to the ICC for its “preliminary examination” into acts committed by Israel since Operation Cast Lead in 2014 – an examination that has moved at a snail’s pace and has not resulted in the formal opening of an investigation. The referral to the ICC includes violations during the suppression of the protests in Gaza known as the Great Return March, Israel’s settlement policy in the OPT, including East Jerusalem, and the ongoing violence against Palestinians in furtherance of Israel’s territorial expansion. The Palestinian referral will have serious ramifications for the future of Palestinian-Israeli relations and peace efforts, and will trigger US laws that require the suspension of aid to the Palestinian Authority and the closure of the PLO representative office in Washington, DC. Yet the importance of Palestine’s CERD complaint cannot be overstated. Other international fora frequently rely on the factual findings and legal conclusions of UN treaty bodies like CERD. A notable example is the ICJ’s advisory opinion on the legality of the construction of Israel’s wall of separation in the OPT. Thus, if CERD’s findings following adjudication of Palestine’s complaint against Israel are made public, they could potentially be relied upon in any future ICJ advisory opinion – and they could be authoritative in the case now referred to the ICC to hold Israeli officials criminally responsible. This makes Palestine’s submission before the UN’s anti-racism body something to follow, particularly since one of the allegations made in the recently filed ICC referral is that Israel has established a system of apartheid inside the OPT.